The owners, known as “The Franks,” are dedicated to serving fresh, simple food from local purveyors and enhancing it with an Italian flare. They are partnered with various local producers and work to ensure natural homegrown food. The established is partnered with various local butchers, delis, cheesemongers, coffee purveyors, organic grocers and brewmasters. 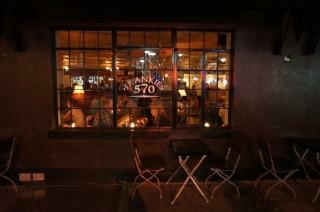 The establishment was opened in August 2011 as a westward expansion of their Brooklyn location. The resturant uses induction ovens (faster, more energy efficient than traditional ovens. Uses less gas), all light bulbs are energy efficient, all paper products are recycled, employees undergo extensive food safety and sanitation education. Frankies participates in local fundraisers for various charities and purchase whole animals directly from ranchers to ensure best taste, highest quality, and support of regional ranchers. Vegetables are purchased from the Union Square Farmers’ Market, and The Franks travel to Sicily each year for an olive oil harvest.